Katy ISD in Texas has built a new stadium on a grand scale and with A/V facilities that surpass many college installations and rival broadcast sports production capabilities. Most high school video scoreboards in the country are still analog-driven and often standard definition; Legacy Stadium’s signal is digital and High Definition throughout, from the cameras to the NewTek TriCaster® 8000 and 3Play® 4800 production systems, to the Daktronics Show Control System rack and finally to the massive video board that dominates the stadium. Video Production Equipment Rack at Legacy Stadium. 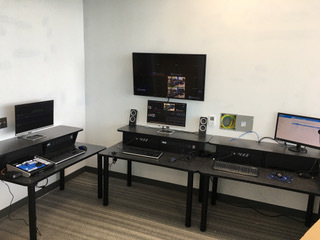 Robert Bax, Installation Manager at Media Support Group, which integrated the video control room, said that what sets the video at this facility apart from other high-end high school stadiums is that the signal can be kept at 1080i from the camera to the big screen. At 13mm pitch, the display’s resolution falls just short of HD, but, at its scale, the difference is visually negligible. 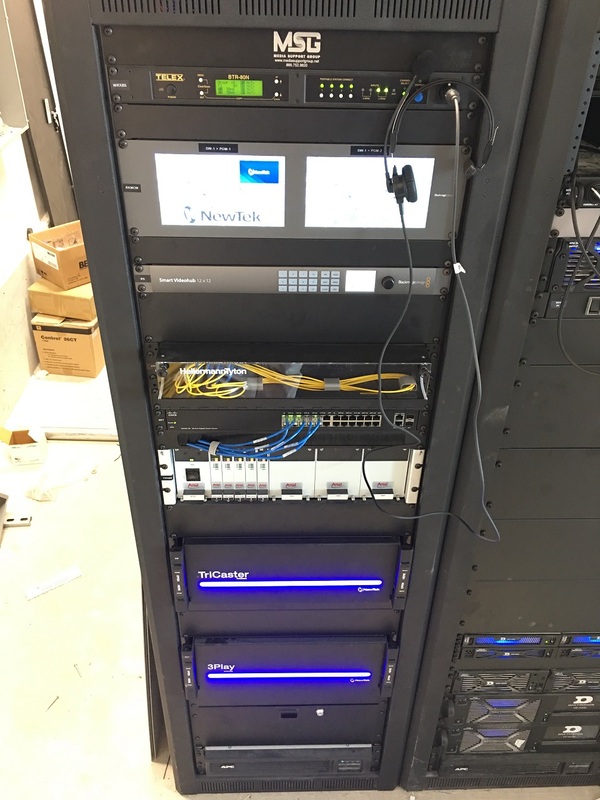 The stadium’s video signal infrastructure, which rides on single-mode fiber from each of the camera positions to the NewTek switcher and then onto the Daktronics rack, is very much futureproofed. TriCaster 8000 is the multi-camera integrated live production system with the most complete range of production capabilities for broadcast, projection and streaming. The system is an 8-M/E, 24-channel video switcher with integrated audio mixer, media players, titles, graphics, virtual set support, and DVE effects. Direct input of cameras and video devices for up to 10 external inputs is available in any combination of HD-SDI, HD Component, SD-SDI, SD Component, Y/C, Composite or Ethernet (via NewTek NDI®) connections, and external routers are supported to expand available sources. The 3Play 4800 is the most complete sports production solution available, integrating multi-camera capture, instant replay, in-show highlights, and dramatic slow motion into one turnkey system. 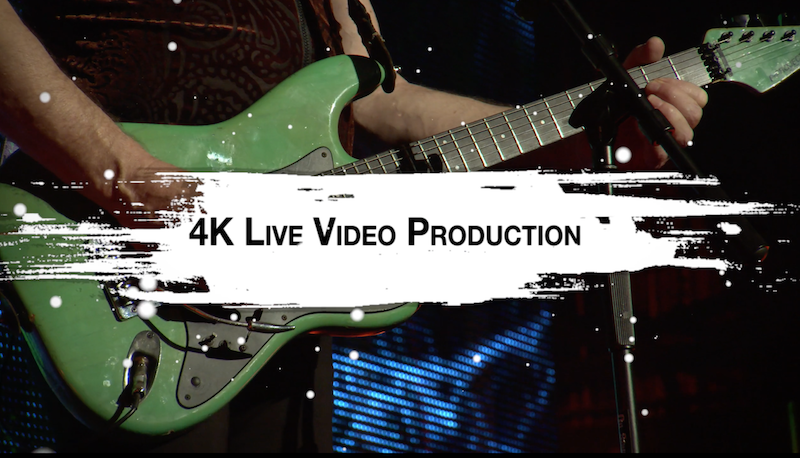 3Play 4800 offers 8-camera capture and 2-channel delivery for producing large events, and a built-in overlay and effects engine to pump up the visuals in real time. The TriCaster has access not only to the cameras that feed directly to it, but to any that connect to the 3Play 4800. The 3Play provides both all inputs and all outputs as NDI signals over the local network, saving the need for dedicated video cabling between the two systems. NDI is NewTek’s royalty-free IP technology for media transport, metadata and communications over standard 1-gigabit Ethernet.